It is Indaba time again and as usual our May Skål lunch is held during this time to afford Skålleagues from other clubs to join us. We are having it at the newly revamped Havana Grill at Suncoast with lots of parking and few or no traffic problems. We can always still do with prizes from our own members too!!!!! Attached please find your Invitation to the our Indaba lunch on Saturday the 4 May in Durban. If all those donating prizes would like to see their company on a screen shot at the INDABA lunch please let me know before 2 May so we can compile the advertisement and the prize so we can try and give your company maximum mileage. If possible with the screen shot you want to see as well as the prize offered. Barbara Herridge Immediate past president Skål International, Durban. Professionals in tourism, business amongst friends. 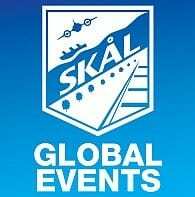 Skål, founded 1934, is the largest organisation of professionals and tourism leaders around the world, promoting global tourism and friendship.